(From L.) Matthew Harrington turned himself in. 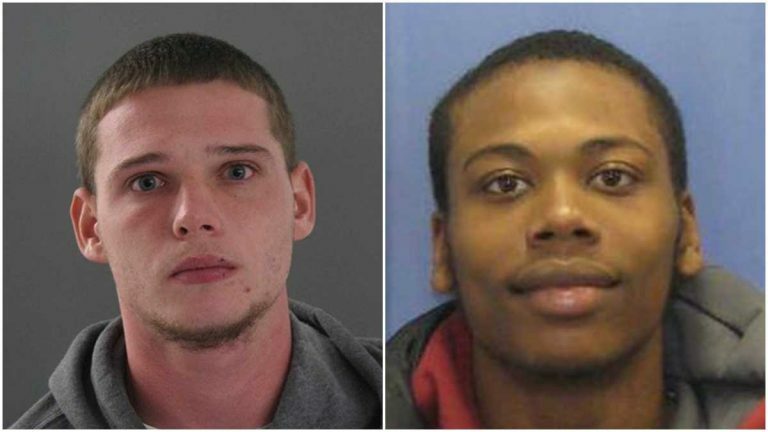 Saleem Shabazz was arrested Thursday in Norristown, PA.
A second man wanted in a fatal Delaware home invasion has been found in Pennsylvania. Delaware State Police announced Friday that 21-year-old Saleem Shabazz of Philadelphia was found Thursday in Norristown, Pennsylvania. Police say Shabazz is awaiting extradition and being held on $1 million bail at the Montgomery County Correctional Facility. Shabazz is one of two men who were wanted in a Dover home invasion last weekend that left two dead and one wounded. Police announced earlier this week that 23-year-old Matthew Harrington turned himself in to Buckingham Township Police. Both face charges including murder and assault. Police say the men broke into the home with handguns and homeowner Clifton Leager and 18-year-old Haley Henwood were killed as a result of gunfire that night. One of Leager’s sons was wounded.